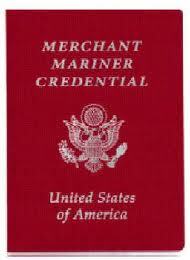 The US Coast Guard National Maritime Center (NMC) issued an announcement stating that US merchant mariners who hold a valid Merchant Mariner Credential (MMC) may download a Merchant Mariner Certificate Suitable for Framing at http://homeport.uscg.mil/mmcert . The downloaded certificate is not a substitute for the MMC. There is no fee for downloading the display certificate. (8/25/10). you dont work on sundays ???? Nice article . I loved the info – Does anyone know if my assistant could possibly locate a sample USCG CG-719K example to type on ?